A bunch of months ago I wrote a little something about Taking Back Sunday lead guitarist John Nolan‘s new solo album project in collaboration with PledgeMusic and about how the whole thing really got me excited and all. Well, as you all know time goes by really fast and we’ve eventually come to the point when John officially released his second full-length album entitled Sad, Strange, Beautiful Dream through a jointed partnership between the aforementioned crowdsourcing music platform and Collective Confusion Records, who’s primarily taking care of the physical copies of the release. Besides the amount of cool stuff worth a mention related to the chosen promotional strategy, such as the variety of pre-ordering packages or the fact that 10% of all the money collected through the album’s sale will be donated to a pediatric facility in Memphis, TN (St. Jude Children’s Research Hospital), I’ve now taken some time to give the full record, released digitally yesterday 24th July, a proper listen and I feel like I’ve got something to say about it. Also, it kinda makes sense to follow up on the matter on a more technical-musical note, doesn’t it? John already unveiled a number of tracks over the course of the pre-release period, such as album opener and teenage era-teller “American Nightclub 1999”, the brilliantly titled – but possibly less convincing arrangement – “Drinking Your Way to Confidence” as well as existential-ballad “How Much”, although this latter one went through a substantive sound-polishing if compared to the early released version and arguably became the absolute best track on the record, mixing terrific melodic songwriting with a perfectly raw-edgy instrumentation delivering an immersive sappy feeling (How much can we control? / I don’t know / As much as we can). A little less than a month ago John then released the mastered version of the sparkling and lyrically-terrifying “Street Robbery Blues”, undoubtedly the most energetic and fast tune on the whole album entailing a very interesting uplifting-dark juxtaposition between the lyrics and the music itself. Yet, with the exception made of “How Much”, the best material on the album was not revealed until its full release. 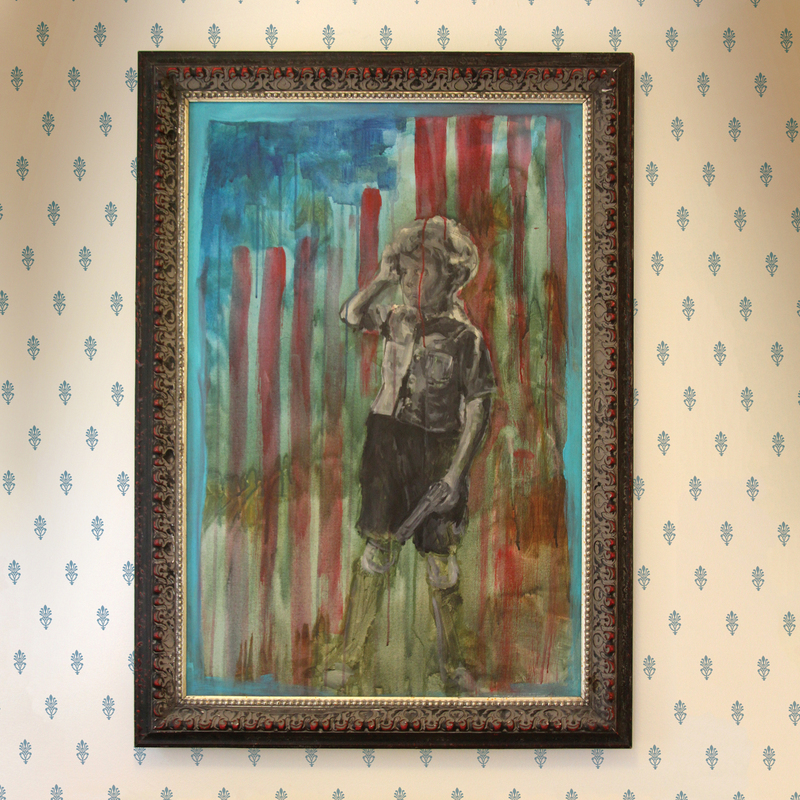 “War is Peace” leads the list of never-heard-before songs on the album and immediately feels like it could have been born out of a raw idea for a Taking Back Sunday song, presenting a properly distorted rock band-modus instrumental base alongside a galloping tempo. The track is followed by the folky-acoustic “Next to You (In New Orleans)”, which probably depicts the lowest point of the record as it results incapable of really taking off in its own terms. The provisional down-status is suddenly mightily overcome with a consecutive couple of triumphant songs that really stand out on the whole. “I’ll Be Home Soon” is a piano-led ballad that truly gets under the listener’s skin and also delivers a quite catchy chorus, something that’s absolutely not to be taken for granted when it comes to slowed down ballads: well done John. It follows the album’s title track, which in some ways does sound a little out of context with its abundance of synth-fillings and indie-pop dyeing but which, after a few listens, already begins to make sense again, not least because it does really encompass traces of sadness, strangeness and beauty in a dreamy atmosphere. After a re-interpretation of 2012 track “C’est Le Fin Du Monde”, originally released on a split 7″ with indie rock band Mansions and the sonic perfection of the previously mentioned “How Much”, John Nolan’s second solo album comes to a close with the brilliant “I Will Be Released”, a sing-along choir anthem curiously and romantically written with his wife Camille. In a way it’s truly funny and misleading to read on his artist’s description on PledgeMusic that he’s being labelled as folk-acoustic musician, because Sad, Strange, Beautiful Dream seems to confirm he’s actually not, and even at the times when he probably is, the record feels the most vulnerable (cf. “Next to You”). Given the quality of this last effort, he should feel no shame at all to confidently present himself as a modern alternative-rock act, not least given the mighty studio collaborations he took advantage of during the recording process. Yet, tags and label don’t really matter at all as soon as one realises where musical quality lies and that it shouldn’t be constrained by arbitrary boundaries at all. This is precisely what John Nolan has apparently come to realise with this record: with precious songwriting, instrumental rawness, lyrical honesty, and a little experimentation he’s delivered his best musical outcome to date. Well I think this new thing I’ve discovered is actually pretty cool, for multiple different reasons. First and foremost, PledgeMusic really seems to facilitate artists to reach out to their fanbase (members of which are in this case called “Pledgers”) in a direct and uncompromising manner. Using the platform musicians can pre-sell, market, and distribute projects including audiovisual material and references to live shows. Also, of course, the platform is being used to raise funds, but in its case only for musicians themselves, since the platform itself doesn’t retain any ownership to any music created. Another absolutely great and honourable aspect of PledgeMusic is that it actively encourages artists to include contributions to a charity as part of their project, and in John Nolan’s case up to 10% of all the money collected will be made available to St. Jude Children’s Research Hospital in Memphis, TN, a pediatric facility focused on children’s diseases. But that’s not the end of the story. Through PledgeMusic artists are able to personalise and craft their very own music production process and to outline it online, enabling fans to pre-order very cool packages of music, ranging from simple digital downloads of the tracks through vinyl and LP bundles to special edition items. Furthermore, musicians can frequently update their followers with blogposts, videos, exclusive demos to download, and much more while they’re working in the project on a dedicated section of each artist’s profile. They can also actively engage the community supporting them too, as for instance John recently did by asking his fanbase to pick the new album title, which I personally think is a pretty rad thing to do and shows just how much artists actually value their fans’ opinion about their musical outputs and try to integrate them in the artistic development of the end product. Needless to say, as soon as John announced his new folk project a while ago I suddenly felt the urge to fully support him by giving him what I could in order to complete his album. In fact, there are still 3 days left before the end of his campaign and he’s been able to raise 96% of the goal so far, so if you’re reading this and have somehow become interested in the thing… well, I think it’d be pretty cool if he’d be able to reach his target soon. From what I’ve heard following him on the Interweb (e.g. on Twitter) while he’s currently on tour in the USA with his bandmates in Taking Back Sunday as well as quite big notorious supporting acts The Menzingers and letlive., the new album should be released in June this year, and most of the mixing and post-production has already been done or is currently undergoing (on a side note here, to be fair John is actually collaborating with a record label for his new effort – Collective Confusion Records – although the role of the company is merely confined to the pressing of vinyls and the development of pre-order packages). So far John has previewed three tracks on his PledgeMusic-profile, which will all feature on his upcoming album: “American Nightclub 1999”, “Drinking Your Way To Confidence”, and “How Much (Early Days Version)”. I think they’re all great: they’re in fact listenable and downloadable as soon as one financially contributes to John’s project. It’s really worth trying making this thing happen – time hasn’t running out yet – not least to get a feeling of participation/contribution in what I’m sure will be a fantastic album made by an extremely talented and fine musician. 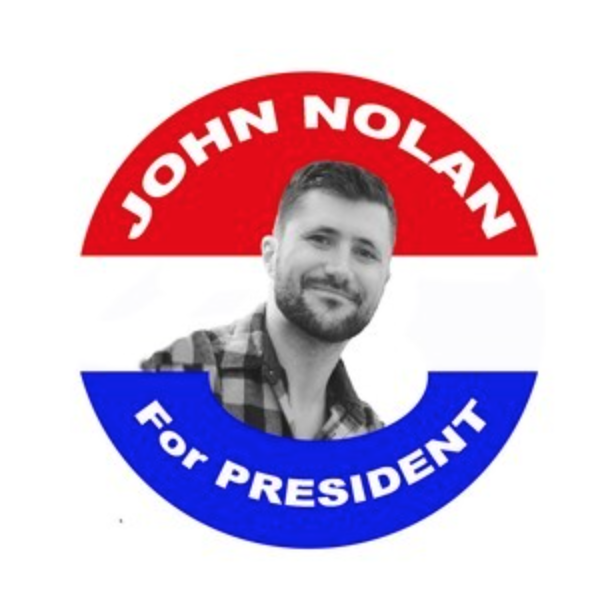 It’s time to make John Nolan for president.